Lovely 3 bedroom 2 Bathroom Villa with good size outdoor patio area. Full western kitchen, piped hot water, and fully airconditioned, your home away from home. 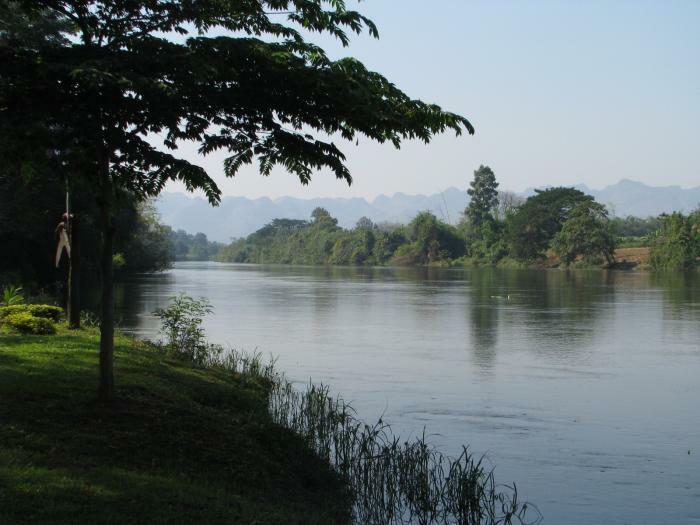 A minutes stroll to the River Kwai, good fishing and a stunning location to relax and let the world go by. Set on the outskirts of Kanchanaburi about 9 km to the city centre, total peace and tranquility and security on this property, close to local markets and shops, private medical facilities and well placed for visiting all the local attractions such as Bridge on the River Kwai,stunning scenery wildlife experiences etc. About Husband Thai and Australian Wife, Husband is a community welfare coordinator ,wife a college teacher. We love nature and wildlife, we would like to swap cars as well. Prefer a rural swap as we enjoy our peace.